The latest Batman poster from French Paper Art Club is “Catwoman” by Paul Pope. Based on Paul’s famous Catwoman N.5 cover in 2002 (DC Comics) Trickle Down Theory, it is a 16″ x 24″ 5-color Screenprint, numbered edition of 100, and cost €35 ($40). On sale Thursday, August 27th at a random time HERE. 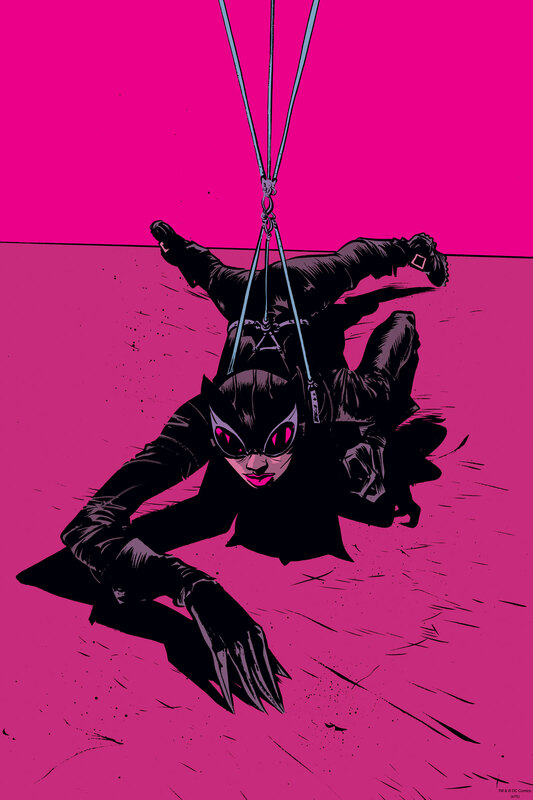 This entry was posted in Art Prints and tagged Batman, Catwoman, Paul Pope by admin. Bookmark the permalink.